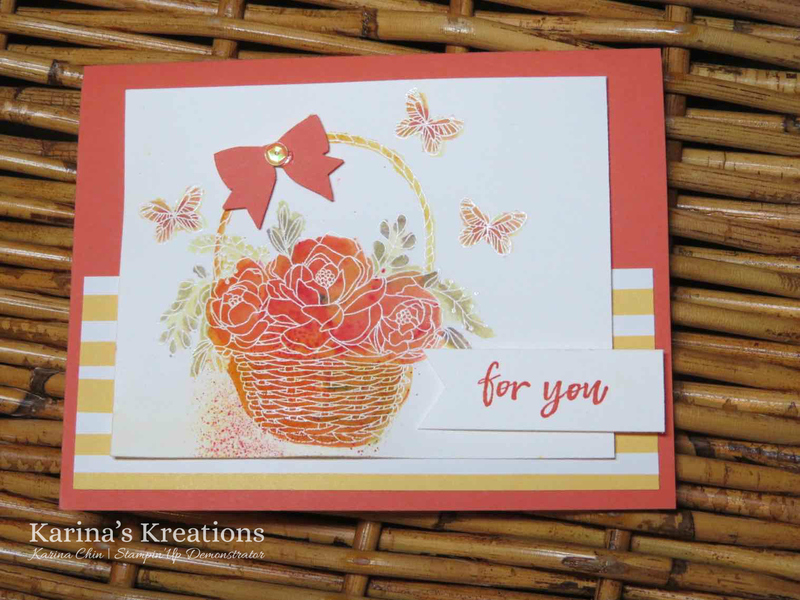 I'm getting ready for my Brusho card class on Thursday and decided to make a cute card using the Blossoming Baskets stamp set. 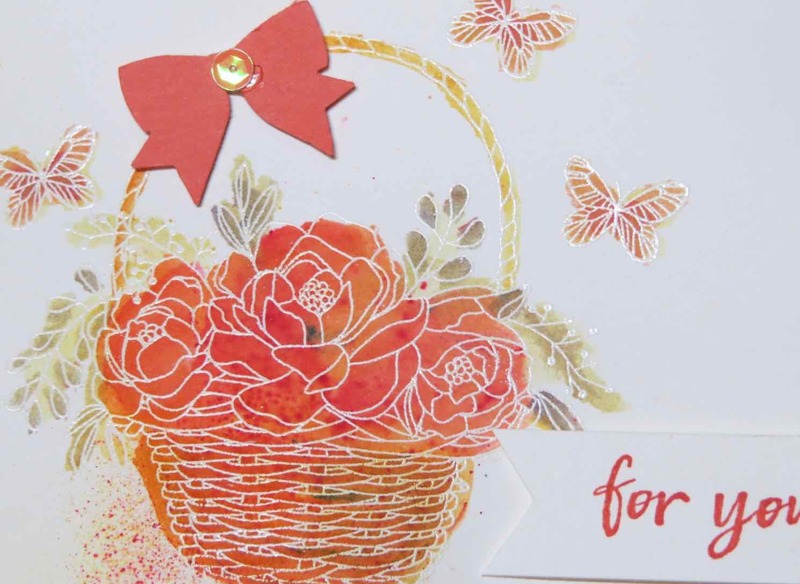 The stamp set and coordinating embossing folder are free with a $120 order. I stamped the image on Thick white card stock using Versamark ink and embossed the image with Whisper White embossing powder. The flowers were colored with Brusho crystal colors and an aquapinter. I love the watercolor look although I should have used Shimmery White card stock. It's stands up better when you spritz the image with water. Here's the supply list for my card.